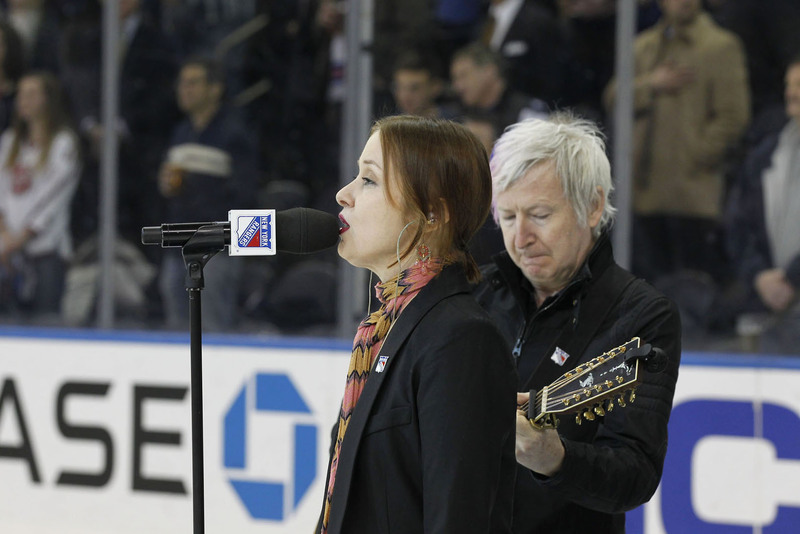 I accompanied Suzanne Vega who sang the National Anthem for the New York Rangers Ice Hockey Game. 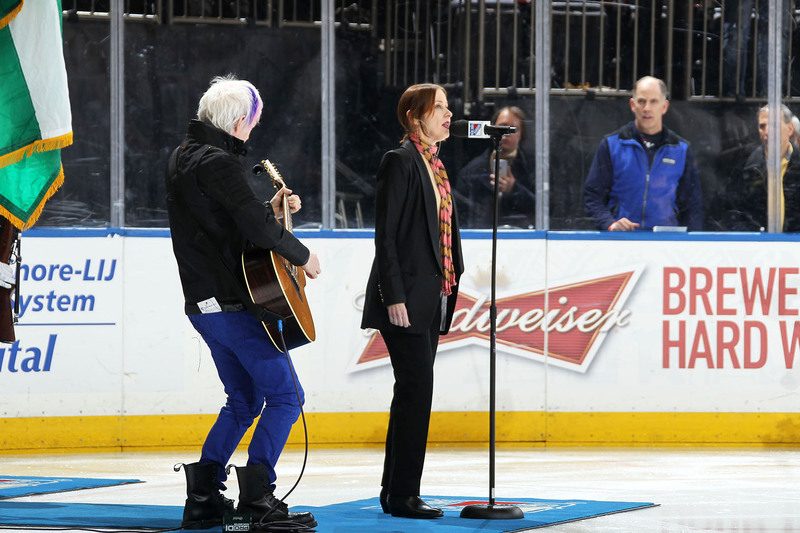 We went out onto the ice right before the game commenced and I played the Furch 12 string and Suzanne belted it out ! It was really fun and pretty rowdy. We must have brought good luck; the Rangers beat the Nashville Predators 4:1 !! Here is a link to the “Shaky Audience Cam” by our manager Michael H.